Click here to see an entry from the Companion. This informative resource provides a brief history of each hymn in the popular hymnal Glory to God. 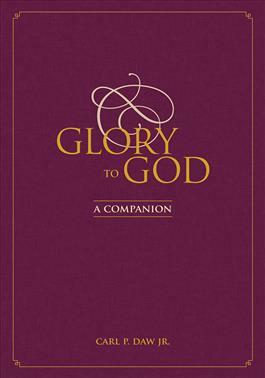 Written by one of the foremost hymn scholars today, the Companion explains when and why each hymn was written and provides biographical information about the hymn writers. Church leaders will benefit from this book when choosing hymn texts for every worship occasion. Several indexes will be included, making this a valuable reference tool for pastors, worship planners, scholars, and students, as well as an interesting and engaging resource for music lovers.